Father’s Day is often a special time for dads and their kids to bond. And when your dad has always had a soft spot for the spritely Mazda MX-5, spending a Sunday together in the latest one makes things all the better. Becoming a motoring journo is something that took me the best part of seven years to achieve. 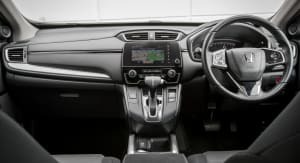 Inextricably linked to driving new cars – a huge perk in itself – another priceless aspect of the job is getting to take those closest to you out in a diverse range of automotive metal. 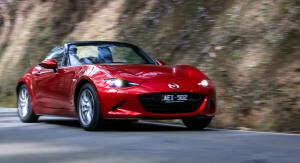 Measuring in 40mm shorter than the first-generation NA MX-5 that debuted back in 1989, the all-new fourth-generation ND Mazda MX-5 is 3.9 metres of two-seat, open-top fun, heavily styled in accordance with the Japanese brand’s Kodo design language. 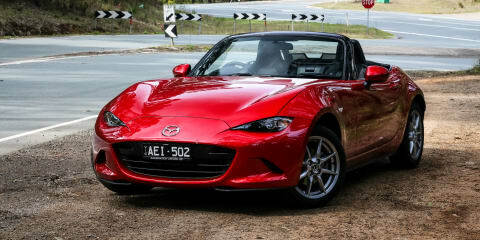 Like it or not, at this early stage, the newly launched ND MX-5 easily stands out – particularly in this test car’s Soul Red Metallic finish (the only paint option that commands a $200 premium). Priced from an incredibly tempting $31,990 (before on-road costs), the base Roadster you see here undercuts its entry-level NC predecessor by more than $15k. 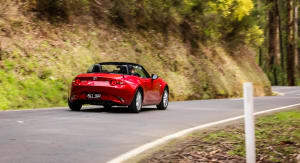 But while the old car exclusively powered its rear wheels with a 118kW/188Nm 2.0-litre four-cylinder, the new MX-5 entry point turns its tyres with the smallest capacity engine ever fitted to the model: a 1.5-litre four-cylinder. 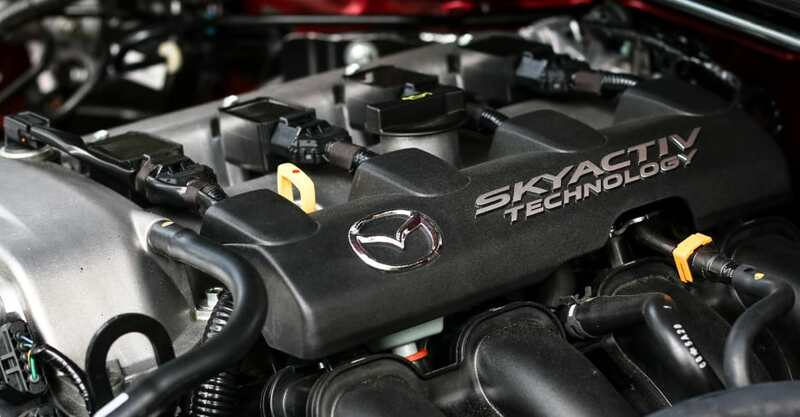 Sharing its block and cylinder heads with the crackingly good engines in the all-new Mazda 2, the extensively revised P5 MX-5 unit sees power and torque figures upped respectively to 96kW (at 7000rpm) and 150Nm (at 4800rpm). 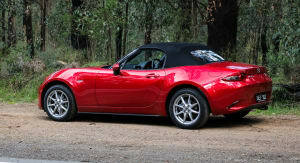 Want more oomph in your MX-5? 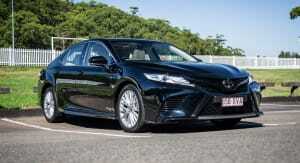 You’ll have to wait until the 118kW/200Nm 2.0-litre versions start arriving in November. Dad and I, and my uncle who proudly owned a second-generation NB MX-5 – and even CarAdvice’s own James Ward for that matter – all subscribe to the convertible credo of Roof Down Unless Raining (RDUR). 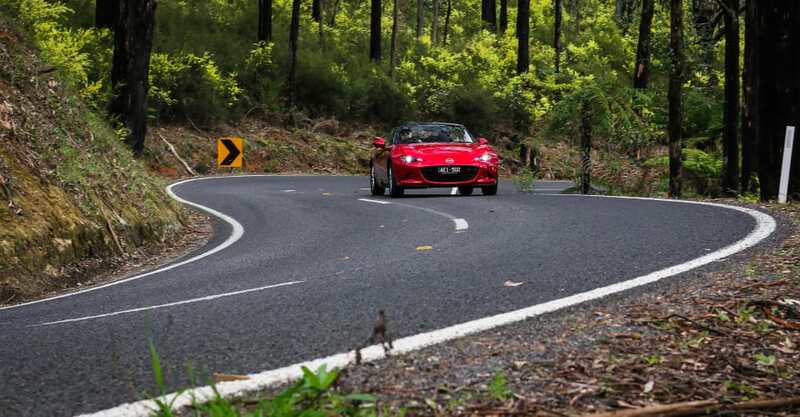 With this in mind, it’s jackets on, hats on, heater on halfway, and roof dropped as we roll out of the driveway and head for the always grin-worthy roads of Melbourne’s Yarra Valley. Being my uncle’s older brother, my dad – on more than a few occasions – got to spend some one-on-one time in his little brother’s ‘toy’. A bit of a family favourite, my uncle’s 1.8-litre NB always piqued Dad’s interest. 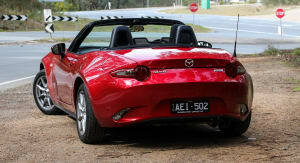 “I’ve always liked the MX-5 and I’ve previously thought about owning one,” Dad tells me once behind the wheel. I ask Dad if the new MX-5 still feels like an MX-5 to him. Dad points out that the steering is far more direct than in his 2014 Volkswagen Polo daily driver and that the whole thing is more responsive to driver inputs. Slicing through a mix of second-to-fourth gear corners, Dad is impressed with the gutsy little 1500cc engine. Giving the old man enough driving time to ensure my name stays firmly in the good books, we pull over for a driver change. While we’re out of the car I show Dad – who used to have a second-generation Audi TT quattro Roadster – the MX-5’s petite but still useful boot. Providing enough room for a couple of soft overnight bags, the new car’s 130-litre boot is down 20L on the previous MX-5’s, though Mazda has made the load space 35mm longer and 36mm deeper than before. Jumping into the driver’s seat I adjust my position, mirrors and… Oh, that’s right. 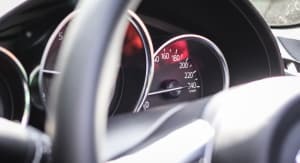 In an effort to save weight, Mazda decided not to endow the latest iteration of its best-selling sports car with a telescopically adjustable steering wheel. Rake was doable but reach was apparently a few grams too far. Shame. I love a good sports car. Each and every time I get to drive a Toyota 86 or Subaru BRZ, I’m left checking my bank account for a lazy $30k-odd. 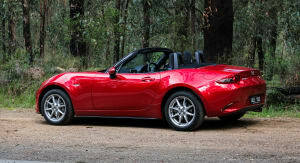 And I can’t hide my excitement about the new MX-5. 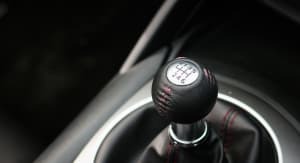 Pedal placement is great, brakes are nice and progressive and the small, 48mm shift knob-topped six-speed manual gearbox is a notchy delight. Grip from the standard 16-inch 50-aspect Yokohama Advan tyres is excellent and the car’s overall ride/handling balance is fairly impeccable for the majority of day-to-day activities. As Dad said, the engine is a little gem. 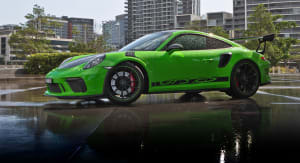 It’s a stack of fun to rev out to its 7500rpm rev limit, though torquey enough down low to easily accommodate gear changes kept to within, or below, the first 3000rpm. 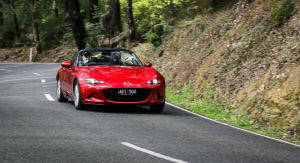 At 1009kg, the new Mazda MX-5 feels light too. 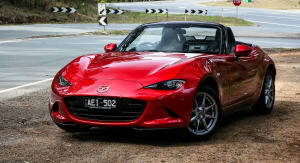 It’s 101kg lighter than the previous model, 21kg lighter than the NB and 69kg heavier than the original 1.6-litre NA. 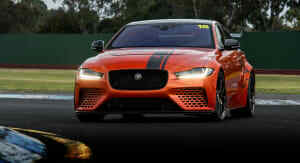 Apart from aiding performance, this also helps fuel economy. 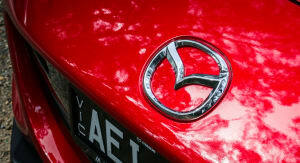 Mazda claim 6.1 litres per 100km on the combined cycle, but with highway and twisties factored in we average 7.6L/100km. 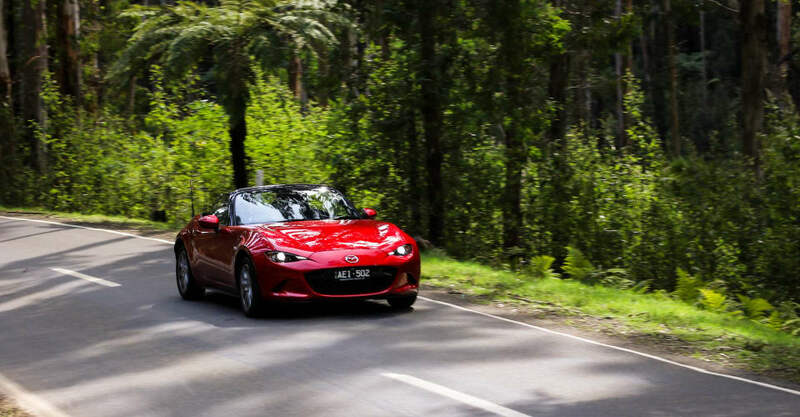 The car’s light weight may help agility, but sadly, due to a combination of softer suspension settings and an imperfect ‘dual pinion’ electric power assisted steering system – a first for Mazda – the new MX-5 lacks the communication and sharpness of the 86/BRZ. 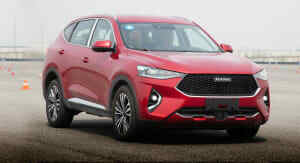 The trade off – no doubt an intentionally tailored one – is a car that’s very forgiving, very comfortable, and very ‘easy to drive’. 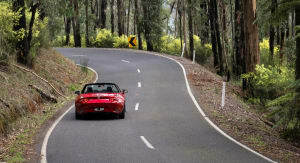 So while a great many people will enjoy the MX-5, my Dad included, some enthusiasts might find the experience a little too disconnected and somewhat short of being truly engaging. 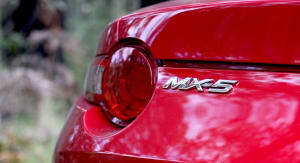 Click on the Photos tab for more 2016 Mazda MX-5 images by David Zalstein.